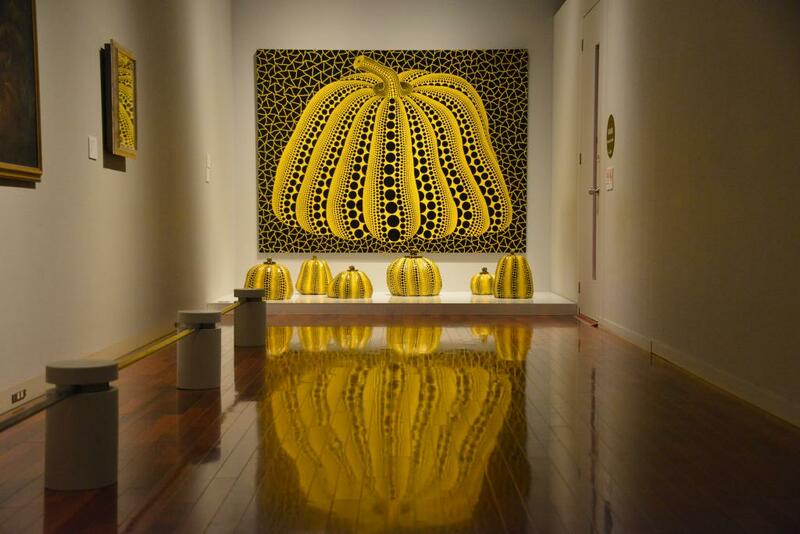 Museum Featuring Works by Matsumoto's Favorite Daughter, World-Famous Yayoi Kusama. 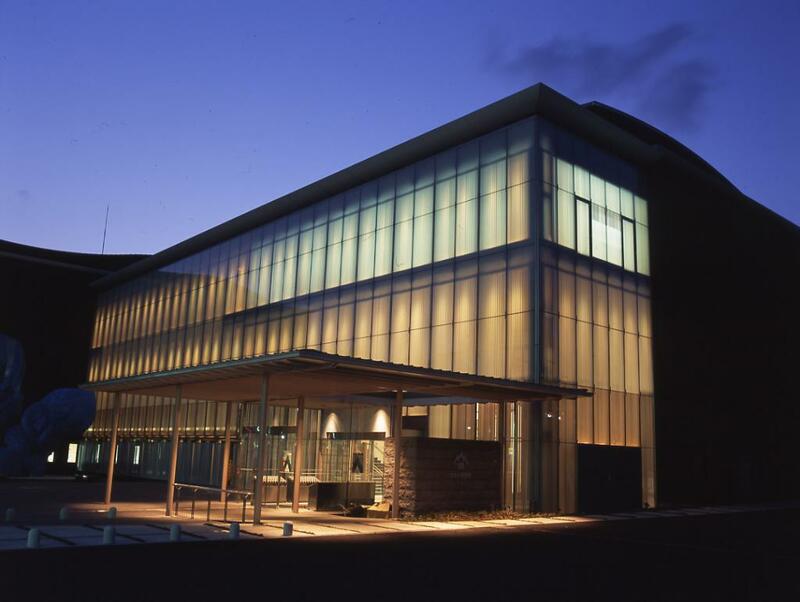 Since its opening in April 2002, the Matsumoto City Museum of Art has exhibited a permanent collection of Matsumoto-born artist Yayoi Kusuma, as well as rooms dedicated to other local artists such as writer Shinzan Kamijo and oil painter Kazuo Tamura. 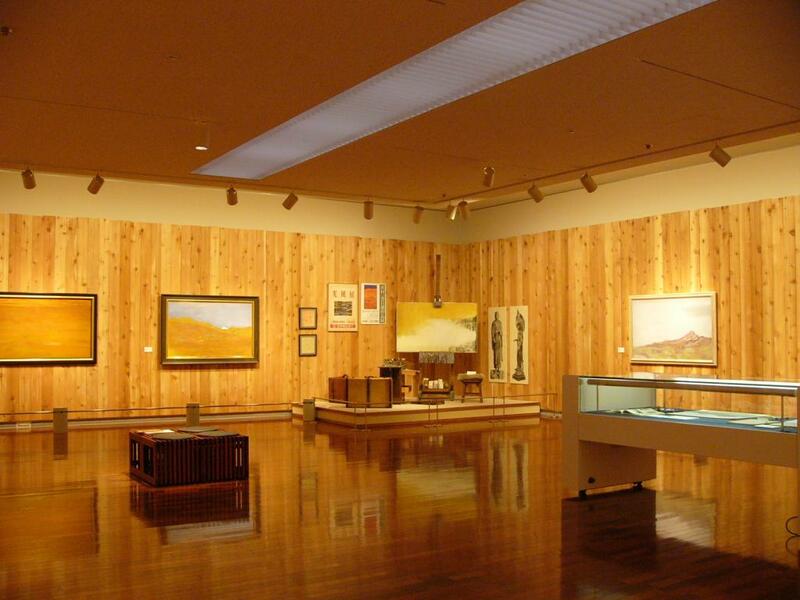 Temporary exhibits are regularly scheduled throughout the year. 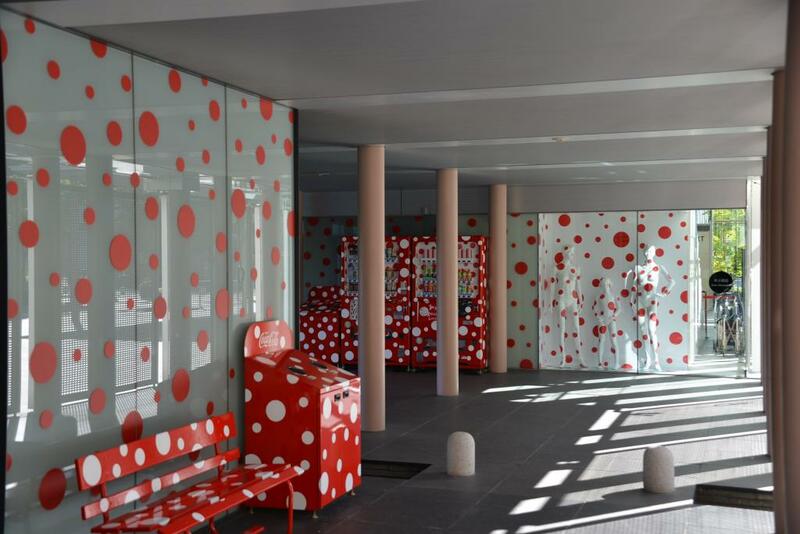 Yayoi Kusama's masterpiece "Magical Flower" is in front of the entrance, and even the museum's vending machines are covered with her trademark polka dots. 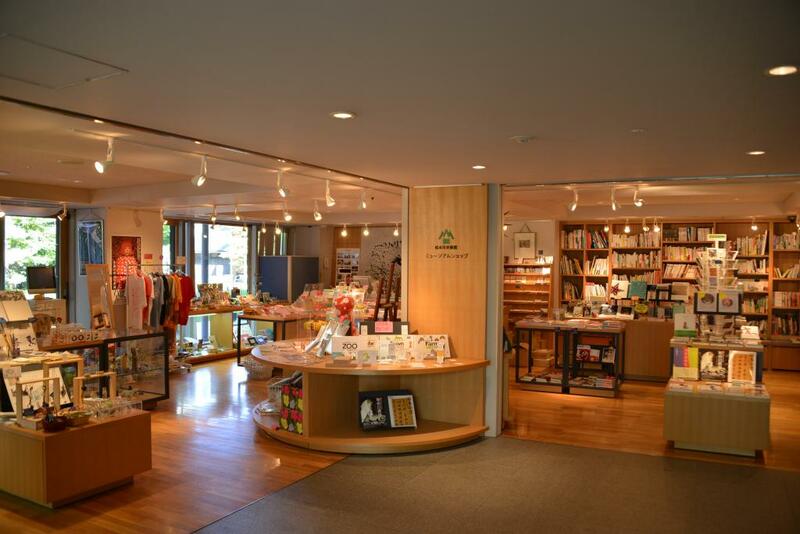 In addition, the museum shop sells Yayoi Kusama goods as well as photo books and postcards of many of the displays. At the 1st floor entrance, 2nd floor promenade, and sculpture plaza. 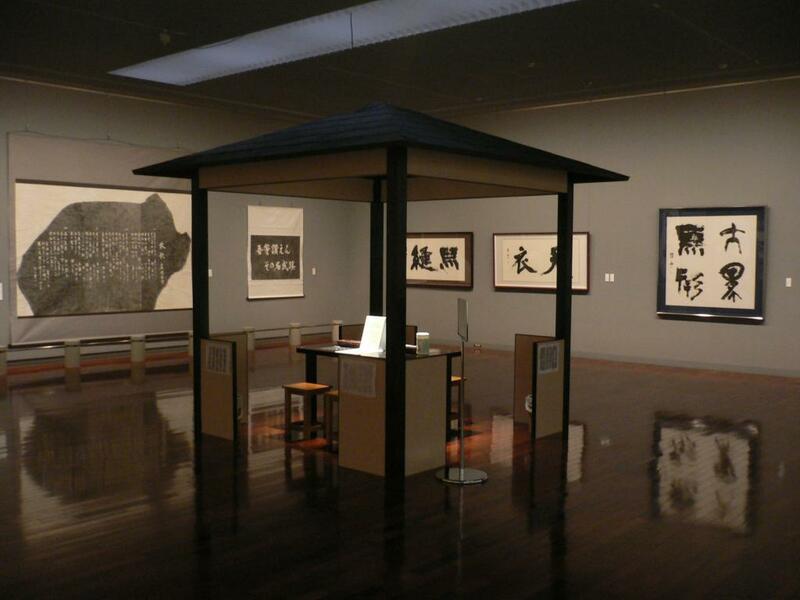 Closed Mondays (unless a National Holiday -- closed next day instead) and from 29 Dec. to 3 Jan.
Additional charge may apply for special exhibits. 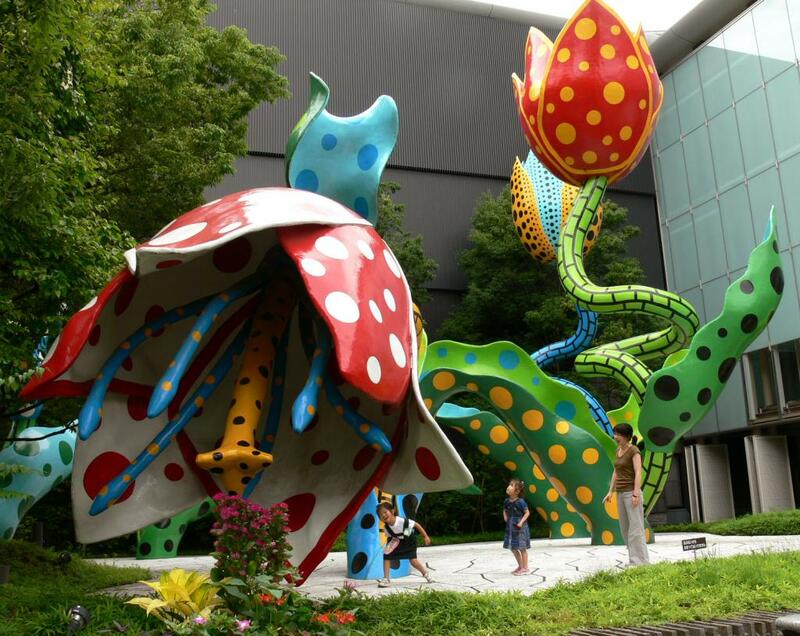 Pictured are the Magical Flower (2002), Pumpkin (1999), and vending machines copyright Yayoi Kusama, as well as the Shinzan Kamijo and Kazuo Tamura rooms and gift shop.